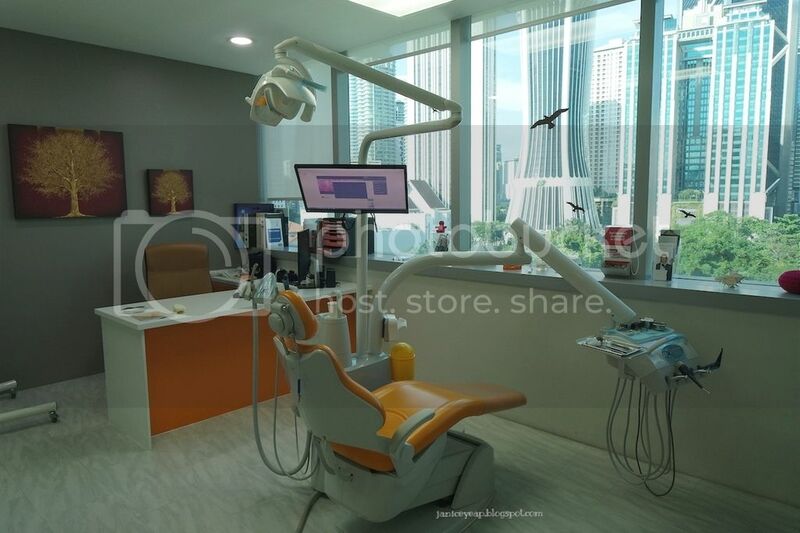 Located along the prestigious Embassy Row of Jalan Ampang and overlooking the skyline of Kuala Lumpur, KL City Dentists has the strategic location near KLCC which provides easy access to the highways, corporate buildings and shopping centres. 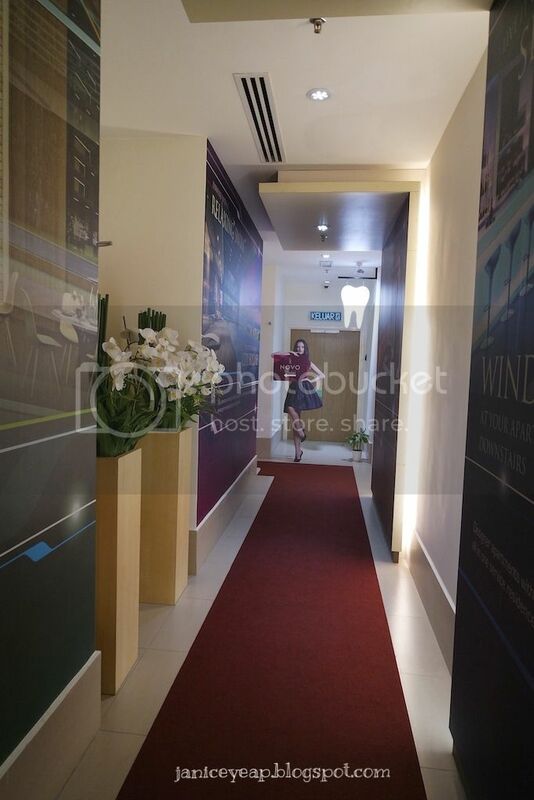 Even the walkway to the clinic is so classy especially with the red carpet on as if the celebrities are walking along to the stage to receive their Oscar awards. Lol. :P I love the fact that it was easy to find parking spaces here and I do not have register at the registration counter before going up to the clinic. I love the environment here especially it gives me warmth and it didn't feel like a clinic. Cozy couches with huge television for the waiting patients made me feel as if I was at home. 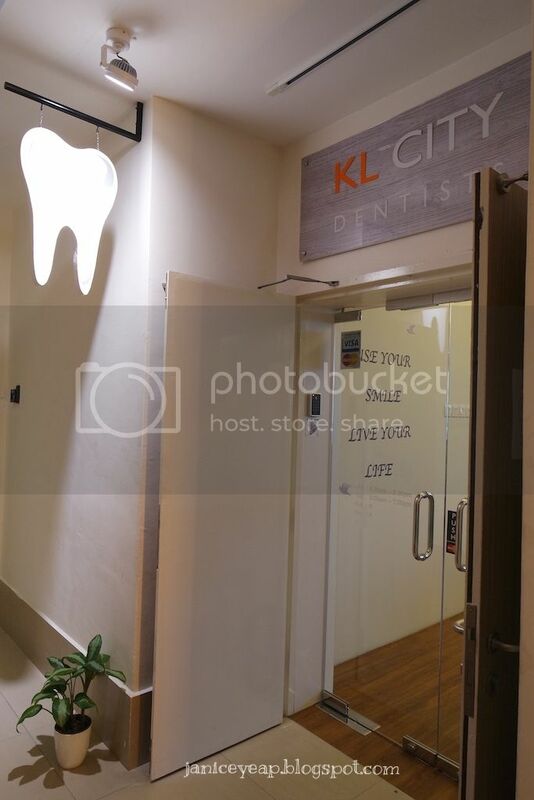 KL City Dentists provide a wide range of dental services from oral dental services such as fillings, crowns & bridges, root canal treatment, scaling to aesthetics services such as veneers & whitening and oral surgery services such as extractions. Before proceeding to see the doctor, I was told to fill up a registration form for documentation purpose. Dr Mong briefly explained to the background of himself of how he set up this clinic with the help of his mother , Dr Su whom is also a dentist for more than 35 years. Dr Mong's philosophy is to treat each patient as though they are a member of his family. 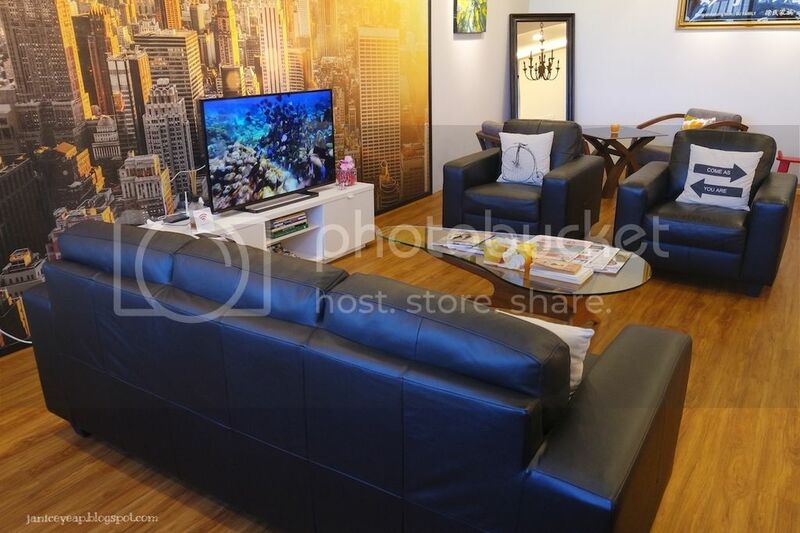 Upon walking into room, I was surprised to see such a beautiful room overlooking the view of the tall buildings in the heart of Kuala Lumpur. I felt relaxed because the beautiful view somehow made me feel relaxed while having my teeth checked. (: Dr Mong started off by checking the condition of my teeth. I was given a pair of glasses to protect my eyes from the LED oral lamp. Dr was busy examining the condition of my teeth. Dr Mong did an X-Ray on my teeth which only take about 5 minutes to produce the images of my teeth and explained to me the conditions of my teeth. He slowly explained the causes and consequences of the teeth if I do not look after them. I was pretty upset because I did not know that my teeth was such in a bad shape and the previous dentist did not even tell me anything about it. With the help of Dr Mong, I finally know the condition of my teeth and definitely I will start taking care of my teeth from today onwards. By the way, Dr Mong was kind to clean and polish my teeth after examining the teeth. The dental chair has a flat screen tv attached to it. So I enjoyed listening to musics from YouTube videos to calm down my nerves while waiting for the doctor to get my scaling and polishing done. Dr was so gentle and he took the effort to tell me steps by steps while scaling and polishing were done. That's not all, Dr also came up with the treatment plan for my teeth to be taken care of. That's so nice of Dr. He even explained every single details on what treatments do I have to go for my case. 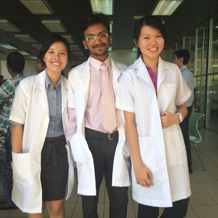 KL City Dentists also provides aesthetic treatment such as whitening in case you are looking for whiter teeth. He has several options to choose from depending on your budget. 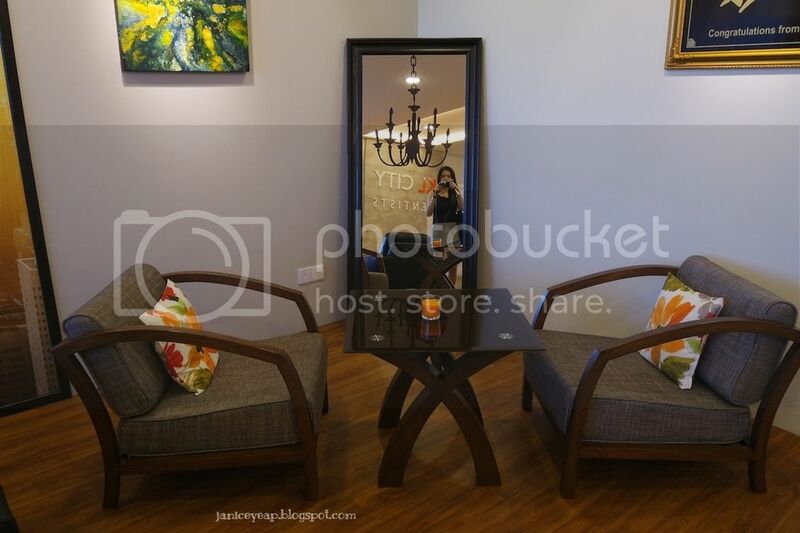 You can also opt to go for take-home teeth whitening treatment too. Honestly speaking, I will not go to any other clinics knowing that Dr Mong's services are good. He is attentive and friendly to the patients. I personally enjoyed the process of scaling and polishing under his supervision and to be honest, I never like going for scaling before. With this visit, I finally understood that scaling can be so enjoyable as I do not feel pain at all. Thank you Dr Mong for the superb service. If you guys want to get your teeth checked, be sure to call for appointment to avoid disappointments. 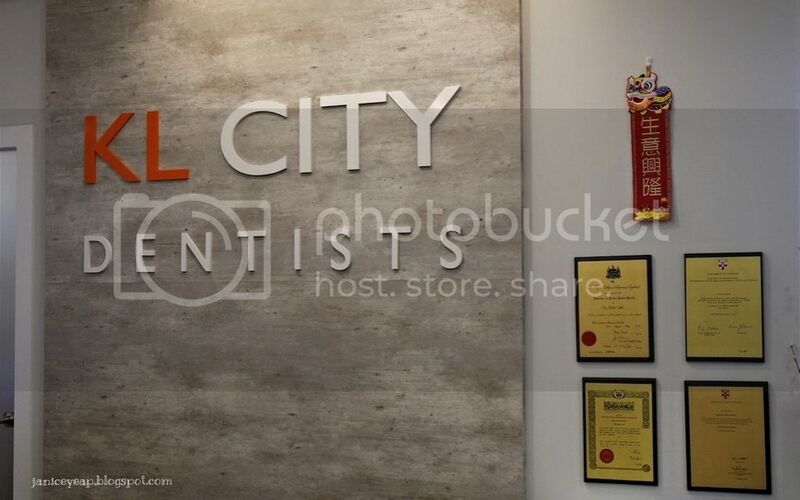 For more information on other dental services or on-going promotions, do check out their website: http://www.klcitydentists.com or Facebook: https://www.facebook.com/klcitydentists.